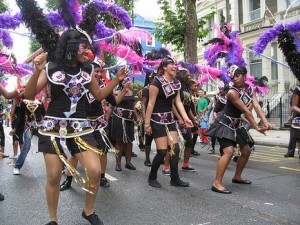 The Notting Hill Carnival takes 1. place/places in the narrow streets of this west London district every August bank holiday. It is one of the largest street festivals in the world and has 2. it is/its roots in the West Indian community living in the area. Back in the 1960s, when a 3. team/group of Caribbean immigrants decided to recreate the colourful celebrations of their native islands, the carnival was a small event. 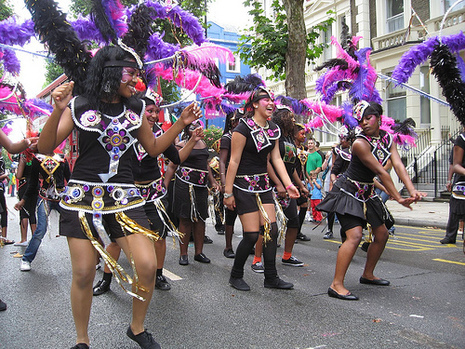 Today, tens of thousands of people throng the streets to enjoy the fantastic floats, colourful costumes, 4. live/alive music, and dancing in this celebration of the black community. The air is 5. filled/filling with the wonderful smells of tasty dishes and the pulsating sounds of the Caribbean, creating a unique atmosphere over the festival weeekend. West Indians are just one of the many minority ethnic groups who help to 6. make/do life in the UK so rich and diverse. For hundreds of years, people from overseas 7. has/have come to settle here. A recent survey found that over 20 % of people in England, Scotland and Wales describe 8. themselves/their as belonging to an ethnic group other than ’white’.